Inky Paws Challenge: Inky Paws Challenge #37 Winners! Thanks so much to everyone who entered our last Inky Paws Challenge at here at the Newton's Nook Designs blog! This months Challenge was to create a project using a Plaid Theme! Our first Top Pick is by Becky Noelle! It's so cool how she created her own plaid by using masking tape and inks! What a creative idea! Then she added in the kitty and gifts from our Newton's Christmas Cuddles stamp set. Our second Top Pick is this awesome plaid card by Jen Wills! If you look closely you can see that even the dog is plaid! Wow! So subtle and so pretty! She used the dachshund and sentiment from the Holiday Hounds stamp set. This sweet coffee card by KT Fit Kitty is so adorable! We love how she paper pierced the coffee mug wrap to coordinate with the plaid on the background! 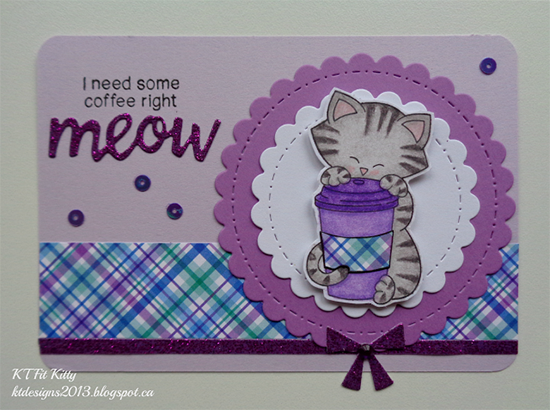 She used our Newton Loves Coffee stamp set and the "meow" from our Newton Unwinds Die set. Karen Baker created her own interpretation of plaid using the frame from our Garden Starter stamp set. It's so cool how she overlapped the frame with different colors to create this plaid look! 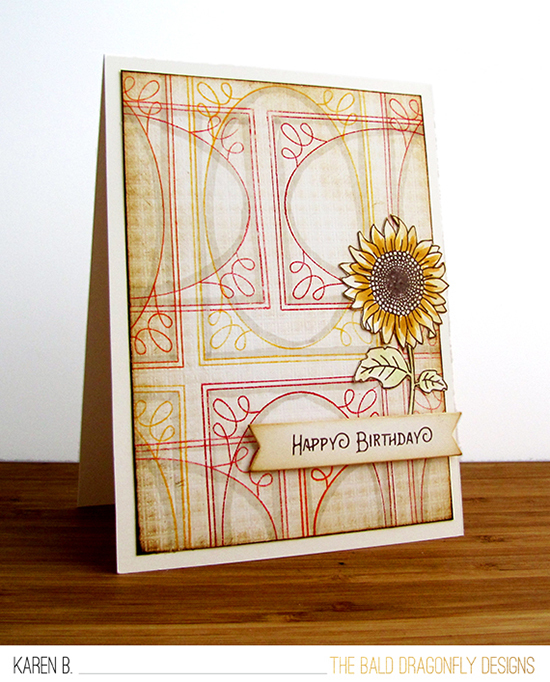 The added sunflower is from the Flower Garden stamp set and the banner is cut out with the Garden Window Die set. One more favorite - this tag by Vicki is so gorgeous! 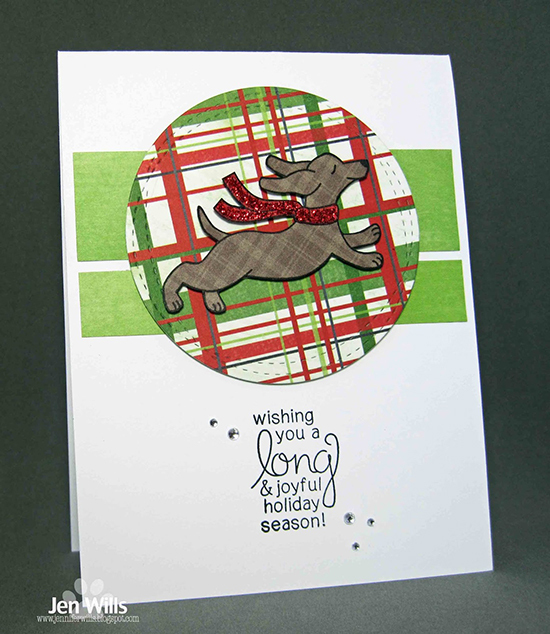 We love how colored the pup onto kraft paper and added a plaid paper-pierced sweater! The subtle brown plaid behind him adds the perfect touch too! She used our the Holiday Hounds stamp set to create this lovely Fall tag! Thanks again to everyone who entered - It's really so much fun to look through all the entries and see everyones ideas! If you didn't win this time we hope you'll play along again next time! 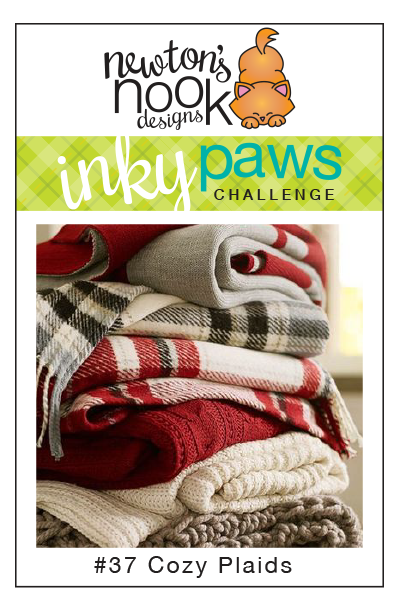 Save the date - our next Inky Paws challenge will begin on Friday, December 2nd!